It was a one-sided start to the hotly-anticipated league. G2 Esports got their ESL Trinity Series campaign off to a flying start yesterday, beating Alliance in assertive fashion. Hearthstone’s number one team dominated the Swedish Alliance lineup en route to a 6-0 sweep in the opening clash of the team league. 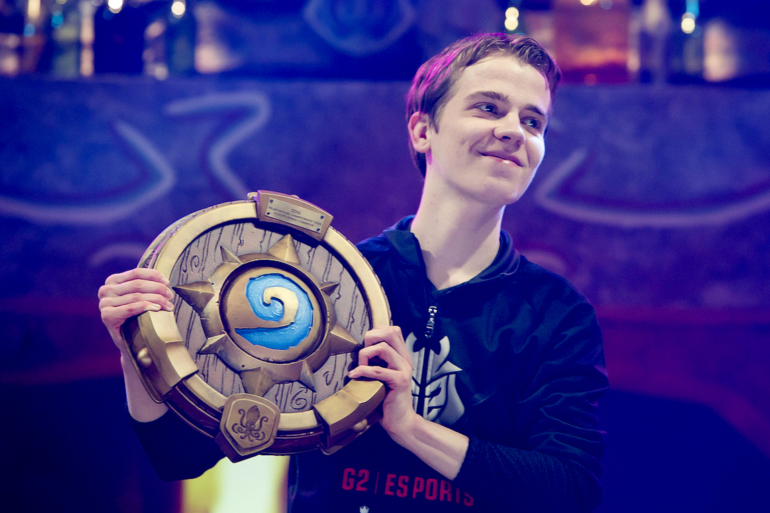 Adrian “Lifecoach” Koy and Dima “Rdu” Radu were able to simply sit back and make enthusiastic murloc noises, as two-time European champion Thijs Molendijk piloted his Anyfin Paladin deck to six straight game wins. Alliance’s all-Swedish lineup of 2015 world champion Sebastian “Ostkaka” Engwall, three-time major winner Jon “Orange” Westberg, and Harald “Powder” Gimre was expected to be a big player in this team league. But the initial loss will be a setback to their title aspirations. As we know from experience, however, initial losses are no indicator of eventual success. The G2 trio, then known as Nihilum, finished fifth in the regular season of the Archon Team League Championships before going on to win the playoffs. In the other game of the day, underdogs Tempo Storm emerged victorious against Virtus Pro 6-3. Three game wins with Rogue by David “JustSaiyan” Shan provided an insurmountable advantage for Tempo Storm. Today’s match day will see the other four teams make their debut, as Luminosity Gaming takes on Team Liquid and Cloud9 faces compLexity Gaming.